The Madiba himself shall be featured in the new banknotes to be introduced in South Africa soon. The South African Reserve bank Governor, Gill Marcus, today said South Africa's currency should be a reflection of its culture and heritage. 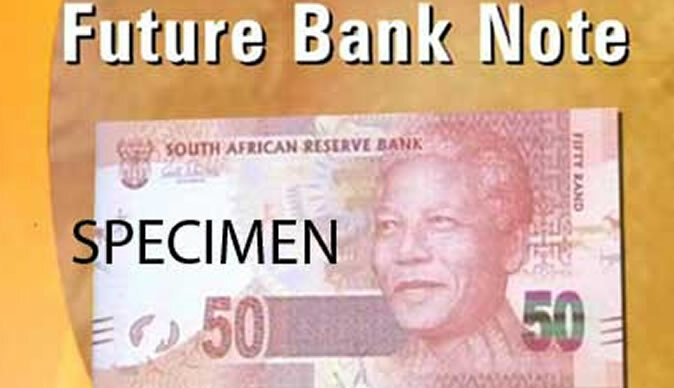 "South Africa's banknotes have reflected aspects of its culture and heritage since the inception of the South African rand in 1961," said Marcus in her speech at the launch of the media campaign of the Nelson Mandela bank notes in Pretoria. She added: "In earlier days, South African banknotes featured such diverse images as that of Jan van Riebeeck, and later the ‘Big Five'. What will surely become known as the ‘Mandela banknote series' reflects South Africa's pride as a nation and pays tribute to a much-loved world icon." The front of the new banknotes will feature the image of South Africa's first democratically elected President Mandela. The reverse side of each denomination features an image of one of the 'big five' animals. "The new notes have the same denominations, sizes and colours as the existing series, which was adopted twenty years ago," said Marcus. She also emphasized that the current notes remain legal tender and are of equal value to the new note. "So whether you have the existing R200 note or a R200 Mandela note, they are both worth the same." The SARB plans to introduce into circulation the new notes before the end of this year. "The date on which these notes will be available and co-circulate with the current note for a while will be made public in due course."